Episode 2 – Where do we start? Welcome to episode 2 of The State of You – I am Bindi – thank you for joining me. In Episode 2 – we start the journey by asking Where do we start? In this episode I’ll give you some background on where to start when you’ve taken the fall and how we start to look at getting back up again. There’s a lot of internal focus, it’s a process and if you’re willing to take the steps after the fall, it may help you get up a lot faster than I did. It will give you the principles to use as your arsenal to rise from the ashes and claim your life back. So – where do we start? The honest answer is there is no exact answer – your situation will be different to mine and everybody else’s. The key principles behind what you are experiencing can help you take steps – one by one – when you are ready. With any significant change in life, it’s important to recognise what is going on – not ignore it. You need to acknowledge what is happening to be able to deal with the change effectively and build resilience to get you to the next step. Recognising this can mean you are going to experience some hurt – give yourself the time to feel what has happened – be upset, let it all out, mourn and get it out of your system. The key here is not to fall back on destructive tendencies that could set you back – it could be easy to do whatever takes the pain away – but trust me – this serves no purpose and makes you feel worse than you already do – and in many cases makes you regret how much time you wasted feeling sorry for yourself. It’s ok to be emotional – we as humans were built to experience emotion and in today’s society it is like we are punished for shedding a tear, losing our temper or being overly happy – feel it – live it and experience it – you are not a robot – trust me – you have a heart for a reason. Like any challenge on your horizon – you need a strategy – you need a plan. While you’ve taken the time to recognise what has taken place – you also need to embrace the silver lining and the good from this outcome. It might seem like there are none – but if you break it down – I am sure you can come up with at least a dozen great things that have surfaced from this event. As you work on your strategy and your plan of attack, you also need to consider your purpose – what is it you can do now to make you feel fulfilled? What is it you can do to give to others whilst giving to yourself in return? The reason for this is two-fold – when you find your purpose – you find your groove and get yourself out of the rut – but when you give to others you also make yourself feel good in knowing you’ve given something back. The karma in that is that one day you might also need someone to do the same for you. This leads to something I call the law of abundance – it’s all about showing gratitude – be thankful for all that you have and see what can happen when you follow the simple act of helping others. It might lead you to being in the right place at the right time, it might network you with just the right person you need on your path, you might experience the most amazing connection with someone who can teach you so much – just when you needed it. In short – by giving with abundance, it will return to you in ways just as valuable as what you contributed. Be kind to yourself – when you’ve fallen from grace – the last thing most of us want to do is take it easy on ourselves – we often beat ourselves up and find it hard to find our own self worth. Again – this self destructive serves no purpose other than to make you feel worse than you already do. Harness the power of proving to others you can rise above what has happened and come out swinging harder than you ever have. You have the power to do whatever you set your mind to – put it in drive and hit the pedal – now is your time. One of the hardest steps to grasp and continue to hold is resilience – to keep getting back up and dusting yourself off when it seems you are taking hit after hit and nothing seems to cut through. It was Albert Einstein that said – the definition of insanity is doing the same thing over and over and expecting a different result. How often do we do this though? Way too often! If something is not working – change tact – a new approach – research a better way – don’t quit and walk away after a few attempts of different strategies – refine, repeat and results will come. One thing that can be difficult to see and understand in the eye of the storm is that you are exactly where you are meant to be – everything happens for a reason and it might be hard to get that when the nucleus of chaos surrounds you. Take a step back if you need to and soak it in – what does this all mean in the bigger scheme of things? Why are you here right now? What is the lesson that fate is trying to deliver? Often you won’t see what the reason is for the event til well and truly afterward – it will be your lightbulb moment and you will see it with clarity – knowing in hindsight this was just a speedbump to make you see the things you were ignoring. Take care of yourself because when it all falls apart – it can be easy to just throw everything out the window with little care for the consequences. This will make getting back up again a hell of a lot harder. Nurture your needs, listen to what your mind, body and emotions need – if you need to just vent to someone, then do it – if you need advice – go find it – if you need a massage and some time out – then for god’s sake please do it. Do not even start to think you are being selfish – because right now you have to do what it takes to build your resilience and be ready for whatever comes next. Take the time to breathe and assess what you need and how you can reach the next goal. Determination is going to be your best friend so focus on what your ultimate goal is and do not waiver from that – your drive should be fueled by the pain you are experiencing and how much you need to steer yourself away from that. There’s an approach to communication, personal development and psychotherapy called Neuro-linguistic programming. The philosophy is that there is a connection between neurological processes, language and behavioural patterns learned through experience and that these can be changed to achieve specific goals in life. I have had first hand experience in this and it can be life changing. Let me give you an example – let’s say you are trying to quit drinking or smoking – you need to give a positive association in your mind to how great you feel when you haven’t smoked or had a drink – how your health has improved – how much money you saved – how you’ve got more energy and feel better. On the flipside you also need to give negative associations in your mind to all the horrible side effects of indulging in drinking or smoking – how awful you felt – how it impacted your health, how much it cost you, how it impacted your relationships and so on. The minute you can master this – you have any challenge in your life aced – drive yourself towards pleasure and away from pain – it’s as simple as that! If you want to learn more about this – check out some of Tony Robbins work – it’s a big part of what he does. It goes without saying that you need to ignore others opinions on your situation – they don’t understand it as intimately as you do and you know what – it’s none of their business. The truth is – whatever anybody else thinks about you is their business and nobody else’s. It’s often said that a lion doesn’t lose sleep over the opinions of the sheep. Focus on your purpose – forget their opinions and go forth and conquer – with or without their blessing. This can be incredibly hard to do – particularly if it is with someone you love – but ultimately they will see that you are unwavering in your approach and they will come around if they really love you. Stand up for yourself and don’t let anyone bring you down in their quest to steer you off your path – if they can’t support you through this – then they are best to move aside as you steamroll towards your intention. I think it might be an ongoing message in my episodes – but don’t give up! Just like a clock – keep ticking – just keep moving forward – aim for progress – not perfection – just keep going! I hope episode 2 has helped you to consider where do we start. Thank you for taking the time to listen to episode 2 – if you would like to share your story, please visit my website at www.thestateofyoupodcast.com and send me an email. 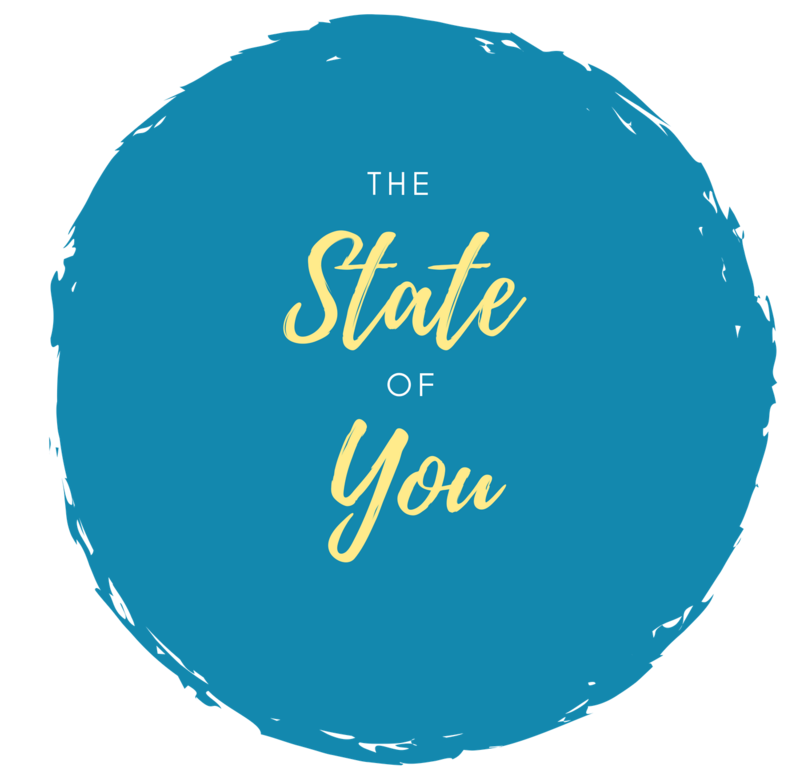 If you enjoyed episode two – please share your feedback – you can find me on Instagram @thestateofyou or subscribe to the podcast through my website.